This is a Bluetooth alarm clock with FM radio features built-in NFC (near field communications) technology that instantly connects your NFC-capable device via touch to the iBN180 speaker for Bluetooth wireless audio streaming. 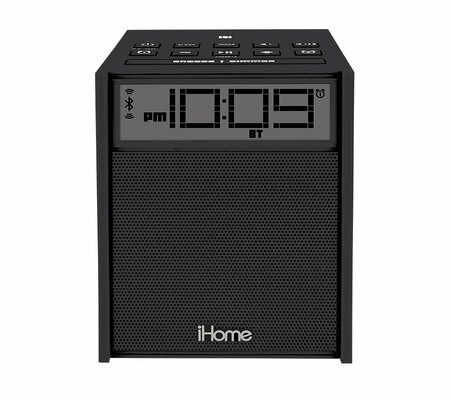 The iBN180 lets you stream wireless digital audio via Bluetooth from your iPhone, iPad, Android, Blackberry and other Bluetooth-enabled devices. FM radio with 6 presets. USB port for charging your mobile device. Reson8® speaker enclosure plus EXB circuitry for full rich sound. 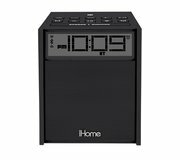 Dual alarm with gradual wake to radio, Bluetooth audio or buzzer. This mini speaker also has an Aux line-in jack to connect and play MP3 players and other audio device. 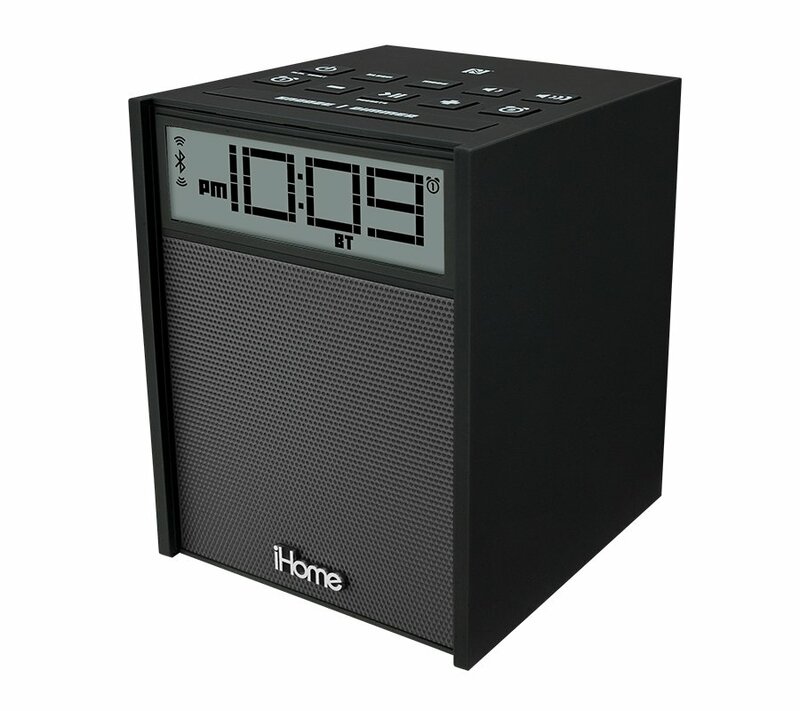 NFC (Near Field Communication) Technology, Instantly connects via touch compatible device to iHome unit for a quick and easy Bluetooth connection. There are no product manuals available for the iBN180. View the iBN180 support page for registration, FAQs, and more.